The event, co-chaired by the RCC Secretary General Goran Svilanovic and Foreign Minister Nikola Poposki, on behalf of the chair of the South-East European Cooperation Process (SEECP) at the time, discussed developments in regional cooperation in South East Europe (SEE), as well as challenges ahead of the organization. The main focus of the RCC Strategy and Work Programme 2014-2016 was SEE 2020 – a Job Creating Growth and EU Integration Strategy for SEE. Its goal was to improve living conditions and bring back competitiveness into the region’s focus. The document that leans on the EU strategy Europe 2020 would be presented for adoption to the region’s ministers of economy in November 2013. 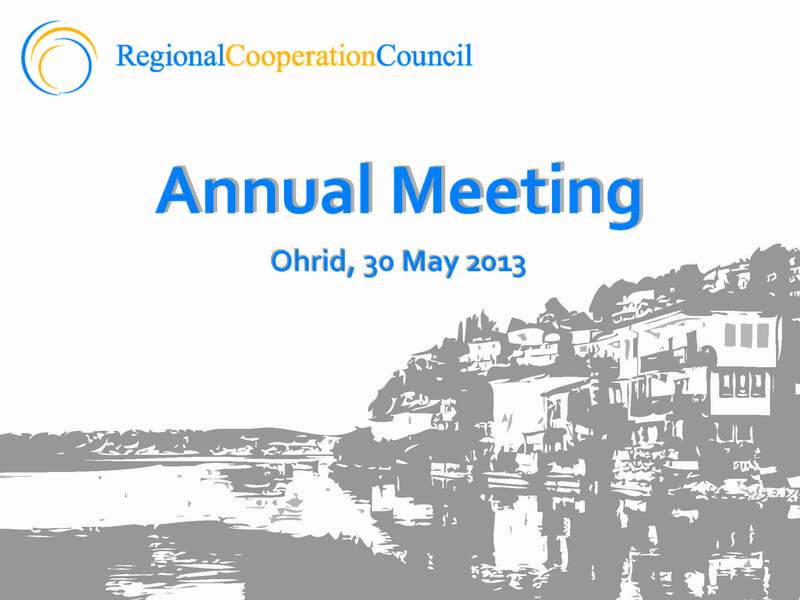 The Annual Meeting was co-organized by the SEECP Chairmanship-in-Office and the RCC Secretariat. It was held back to back with the SEECP Summit, and met at the level of Senior Civil Servants or above. 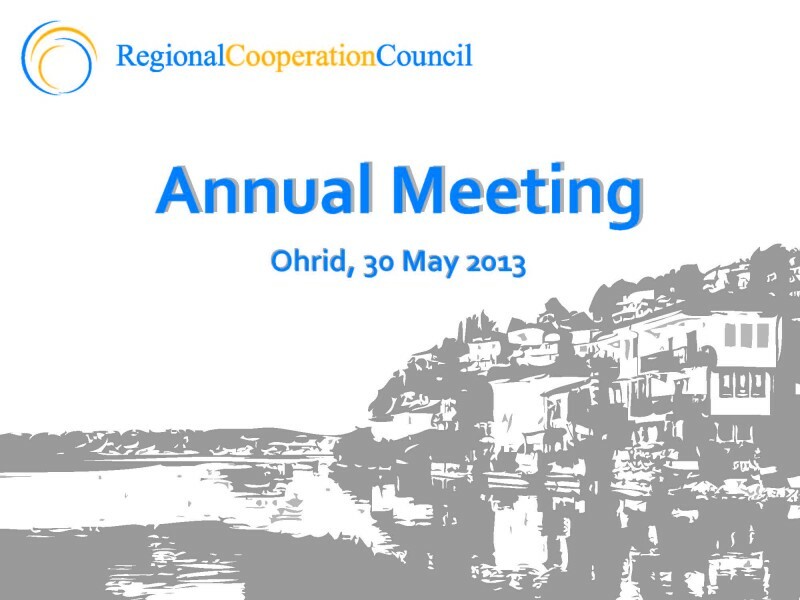 It ensured the strategic co-ordination and development of regional cooperation processes, reviewed and endorsed the organization’s strategy and the Secretary General’s Annual Report on regional cooperation.